Greenease Business lets chefs update and track their farms, push out specials on the app and [coming soon!] search for farm-fresh products. 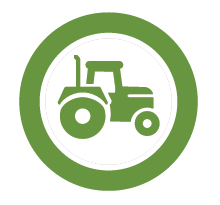 Our farmers can login verify who’s buying from them and list their product for the search functionality. Description: Join us at Dino's Grotto in Shaw for a four-course dinner for two, valid Sundays, Mondays, Tuesdays, and Thursdays until August 12, 2018. Valid: valid Sundays, Mondays, Tuesdays, and Thursdays until August 12, 2018. Download the app on iOS ONLY to purchase & redeem the offer! Android coming soon! At Greenease we use categories to help consumers search by their preferred criteria. Consumers should inquire directly with the restaurant which items on the menu specifically fit their needs before ordering. The free-range/pasture-raised symbol means that animals roamed free in their life. 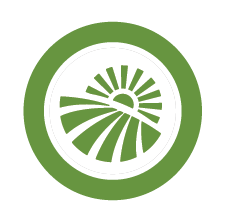 To qualify for this category businesses must buy from at least one farm that adheres to free-range and/or pasture-raised standards. Consumers should inquire directly with the business which items fall under this category. The grass-fed symbol means that the cattle are fed only mother’s milk and forage (grass and other greens, hay etc) in their life. It is important to note that some farms “grain-finish” their meats - meaning that the cattle ate forage their whole lives, but are finished on a grain-fed diet the last 3-6 months of their lives. Consumers should inquire directly with the restaurant which meat items on their menu fall in this category. The business has vegetarian-friendly (no meat or seafood) options on the menu, or available upon request. 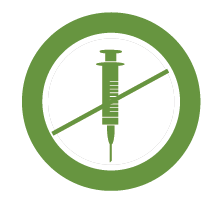 Drug-free means that the business is sourcing from farms that do not give their animals antibiotics or growth hormones. This may apply to both meats and dairy generated from that farm. Consumers should inquire directly with the restaurant which meats are grass fed. The business works with reputable fish farms or purveyors that ensure their seafood items are sustainably raised and sourced. For this category, the businesses may also adhere to the Monterey Bay Aquarium’s Seafood Watch. Consumers should inquire directly with the restaurant which seafood items on their menu fall in this category. The business has vegan-friendly (no meat, dairy, honey or other animal product) options on the menu, or available upon request. Our definition of local is both local – either 100 miles or within the same state – and/or regional – under 500 miles. Consumers should not interpret this to mean that the foods’ nutritional value, production methods, or farms’ practices are sustainable. This is merely an indicator of the geographic location of some of the business' food source. This is a USDA certification awarded to only those farms that adhere to government standards. A business will be tagged as “Organic” if they purchase from at least one certified organic farm. The consumer has the responsibility to ask the restaurant exactly what on the menu came from that organic certified farm. Consumers should inquire directly with the restaurant which items on their menu fall in this category. 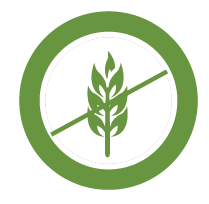 The business has gluten-free options available – either on the menu or upon request. Greenease respects your privacy. We are the sole owners of the information collected on our software. We only have access to/collect information that you voluntarily give us via email or other direct contact from you. We will not sell or rent this information to anyone without your consent or approval. We will use your information to respond to you, regarding the reason you contacted us. We will not share your information with any third party outside of our organization, other than as necessary to fulfill your request, or with your consent on the software to allow a third party to contact you. Are you a restaurateur or farmer interested in participating? Or an app user with lots of great ideas? We'd love to hear from you!